So Christmas time is right around the corner. Most of us are not going to be home for Christmas day, or any of the Christmas festivities before Christmas day, or any of the awesome sales after Christmas day, or Hannukah, or New Years. SO, we decided to have a holiday party of our own. The theme was ugly sweaters....if you couldn't tell. 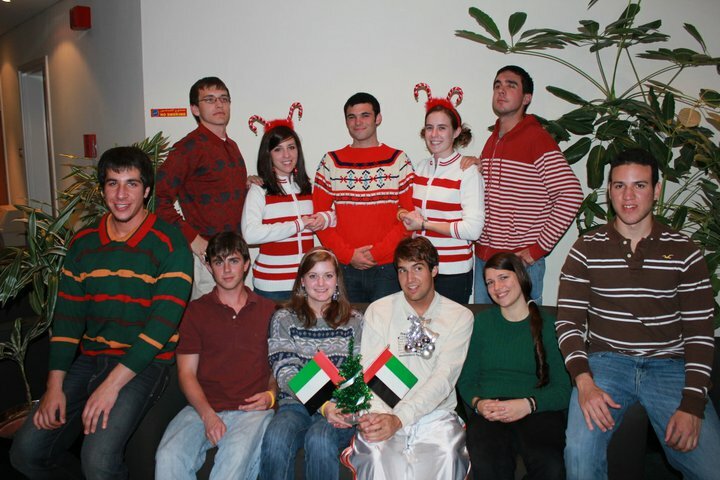 Happy Holidays from the RIT Dubai Americans to you! 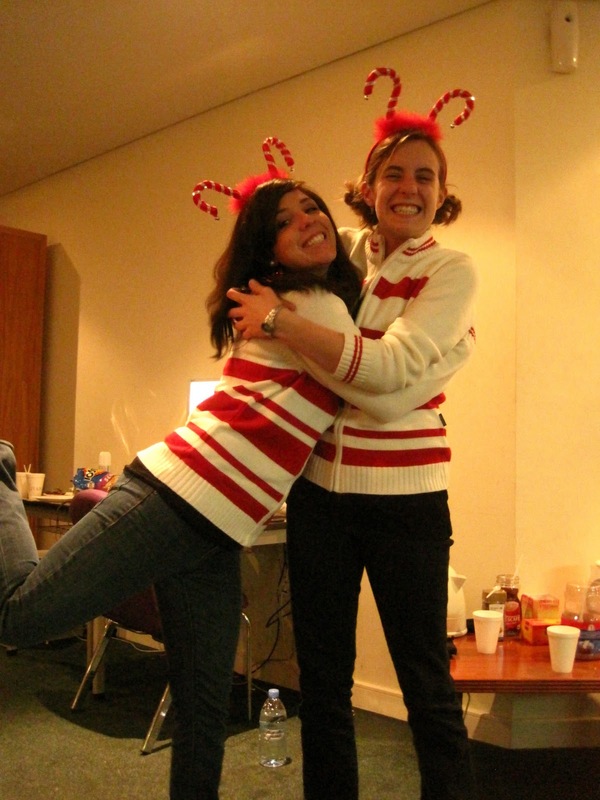 Me and Allie in our totally awesome matching outfits. We didn't plan it....okay yes we did. Sweaters from Carrefour (Dubai grocery store) were only $3.00. Score! Hot chocolate, food, UAE flags on a mini Christmas tree, and a game of spoons.